CostsDuring the last decade, lifetime value (LTV) has become the standard method for measuring the success of customer marketing programs. Return on investment (ROI) is used for campaigns, and profitability is used, particularly in banks, to take a snap shot of the performance of existing customers. Lifetime value, unlike these other measurements, predicts the future performance of a group of customers, based on their past and current spending behavior. It also permits you to evaluate the performance and value of the firm as a whole. It is particularly useful for those who do extensive emailing to their customers. Lifetime value is the net present value (NPV) of the future profits to be received from a given number of newly acquired or existing customers during a given period of years. To compute lifetime value, you have to have a customer database that includes purchase history. LTV is used, of course, in both business-to-business and consumer marketing. It is used for all sorts of products and services in all industries. Let’s take a retailer as an example of the principles involved. Let us assume that we have a chain that uses email as a primary customer contact method, encouraging shoppers to buy on the web or to visit their stores. To track their purchases in the store, the chain may use a proprietary store card, or may get customers to register their VISA or MasterCard credit cards with the chain. Customers can also be tracked with reverse appending of their telephone numbers.. By a combination of these three methods, the chain is able to track most of the purchases of those shoppers who buy on the web or in a store. 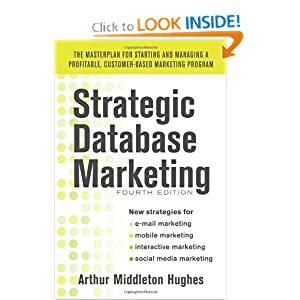 The data is stored in a marketing database. In this chart we are following the lifetime of four million consumers who have registered on the company’s website. In subsequent years there will be others who register, but they do not show up on this chart. We are only tracking these specific four million people. Looking at this chart, you can see that of 4,000,000 customers that we began with, acquired, only 3,760,000 are still reachable with emails a year later. That means that we can no longer reach them for one of two reasons: they have unsubscribed, or their email address has become undeliverable. As you can see, 4% of the emails that we tried to send could not be delivered. The subscribers may have changed their emails, or we may have been rejected by their ISP. It is also highly possible that a hundred thousand or more consumers may have put our emails on their junk mail (spam folder) list so that they do not see them. This happens all the time. We cannot learn this from our statistics. It certainly cuts down on the response rate. Variable costs have to be included in a LTV chart. The direct costs can include anything that can be measured, including the costs of goods sold, the cost of serving the customers, etc. Costs tend to go down over time, since loyal customers are easier to serve than new customers. In this chart, the costs average about 50% of revenue each year. Dividing the gross profits in each year by the discount rate, produces the net present value (NPV) profits. When all profits have been reduced to NPV, they can be added together to get the cumulative NPV profits. These numbers are then each divided by the original 5,000 customers to get the lifetime value of newly acquired customers in Year1, Year 2 and Year3. To see how lifetime value is used, let’s assume that the retailer we are discussing has decided to adopt a number of new marketing strategies. We will measure their effectiveness using lifetime value. Let’s assume that we have segmented our customers into different groups based on their preferences. We will send each segment different emails than we send to everyone else. In other words, we send people news about what we think (or know) that they want to buy, rather than what we want to sell. Each email is personalized: Dear Susan. It features products that Susan has purchased before or has clicked on when she visited our site last. The result of these changes in our emailing program will be several: The un-subs will go down, as will the un-deliverables. The email induced sales will go up as well as the average order size. On the other hand, the segmentation program has been costly. We are estimating one million dollars to create the segments on our database. The cost of the emails has gone way up, because of blasting everyone the same message, we have to develop different creative for each segment, and personalize our emails to boot. Overall, the change in our email marketing strategy has boosted profits in the third year by $241 million. This increase is pure profit. All the costs have already been taken out. Lifetime value analysis like this does not guarantee the increased profits detailed here. The programs could be hamstrung by weak execution. What these LTV charts indicate is that the programs have the potential to be highly profitable, if they are executed properly. The same type of analysis can be done for any company that is using emails to contacat their customers to increase retention and sales. Lifetime value has become a highly useful email marketing measurement technique.